Portable washing machines have been here for a while now; there have been small ones as well as the ones that are human powered. There have been higher capacity washing machines, too, which resemble their full-sized counterparts. Recently, a new approach chosen by The Venus lead the company to make an electric agitator that works on any bucket supplied by the user. 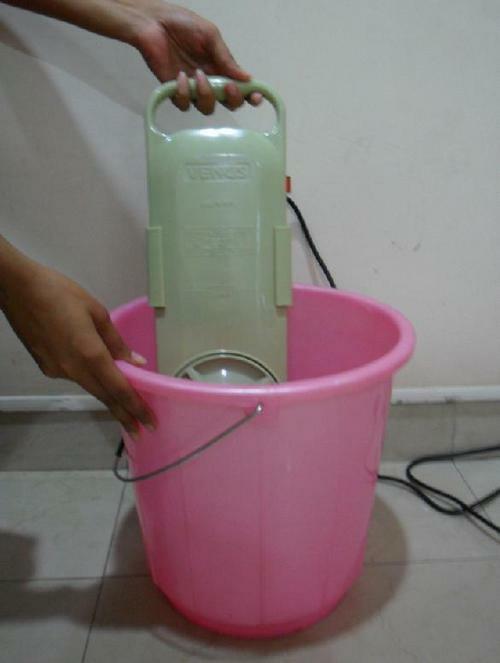 The device runs on standard current provided in a household socket and is simply fixed onto the side of a 20-liter or larger bucket, using clamps. When the water and detergent is added, the power switch is flipped, and clothing items are thrown into the water, as it churns. Upto 2.5kg of material can be washed in a five minute cycle. With plenty of usage purposes in mind, Piyush Agarwalla invented the Venus. 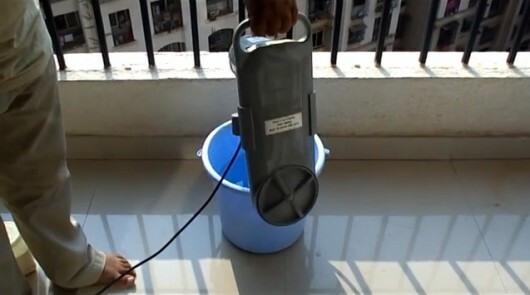 The idea is that it would be used by people in developing countries, who either cannot afford a proper washing machine, or lack the room to place it or the plumbing required for it to operate. This leads to their women washing the clothes by hand for hours, sometimes harming their backs, shoulders or hips in the process. The Venus requires less amount of water than what would be required for washing the same amount of material by hand, Agarwalla stated. Third-world users will need an electric socket to make the current version work. To avoid this, a battery powered model is also under development. Target consumers will include campers, students without on-site laundry facilities, or adventure enthusiasts who need to wash items that cannot go straight into a regular washing machine due to being heavily soiled. The washing machine is in limited production in India, although Piyush plans to increase accessibility by mass production and lowering the price. Currently, he’s raising funds on Indiegogo. A pledge of US $45 will get you a Venus, when they are ready to roll off the production line. Would you please tell me from where I can find one of them ?